A new platform supply vessel (PSV) to be built for operating in arctic conditions is to be designed and powered by Wärtsilä. This is the first confirmed contract for Wärtsilä Ship Design's new series of arctic PSVs. Wärtsilä will also supply an integrated package that includes machinery, and the electrical and automation systems, including the patented Wärtsilä Low Loss Concept (LLC). This highly redundant diesel-electric system provides additional reliability for continuous operation in various failure modes. The contracts with Kleven Verft AS were signed in January 2014. 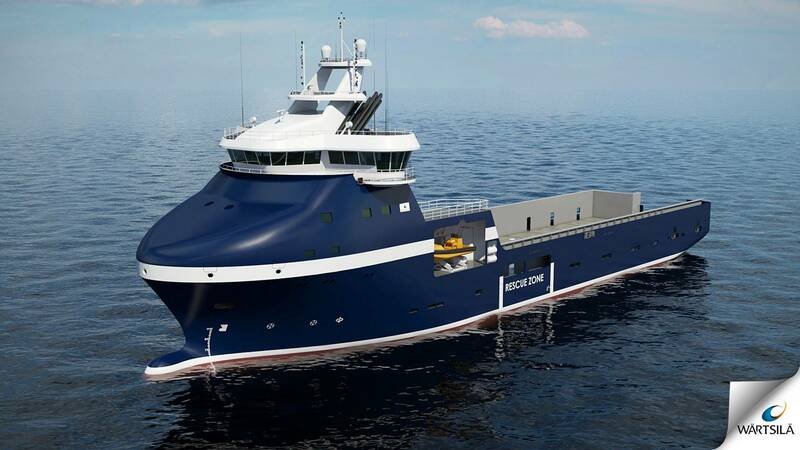 The ship will be built at the Kleven yard in Norway on behalf of REM Offshore AS, the Norwegian fleet owner. The vessel is scheduled for delivery in the first half of 2015, and will feature the latest developments of Wärtsilä Ship Design's proven VS 485 design. "Wärtsilä's unique position as a total solutions provider to the marine sector has again been endorsed with this contract calling for both the ship design, and a comprehensive power solution. This significant order takes us a step further towards our goal of becoming a leading player in the market for ice class vessels," said Magnus Miemois, Vice President Solutions, Wärtsilä Ship Power. 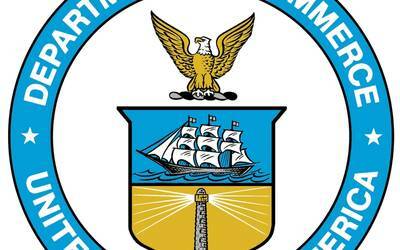 "There is increasing oil company exploration being carried out in northern Russia, Greenland, the Barents Sea and other arctic waters. 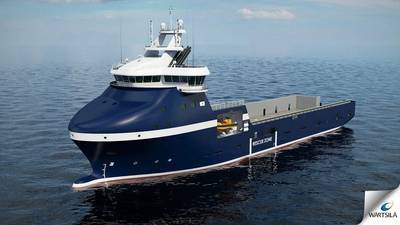 This requires vessels specifically designed for these conditions, and Wärtsilä has shown that it can efficiently meet such needs," said Åge Remøy, Chief Executive Officer of Rem Offshore AS. The ship will be strengthened and equipped for arctic operations, with the hull and propulsion fitted to comply with DNV ice class ICE 1B. This verifies that the vessel has sufficient strength, power, and equipment to operate in arctic conditions. Furthermore, the vessel will be readied for cold climate conditions according to the DNV class Winterized Basic guidelines. This notation includes requirements for maintaining safety and vessel operability in ice, under icing conditions, and at low temperatures. The new Wärtsilä design broadens its very popular 485 range with an arctic option, combining the efficiency and high level of redundancy with arctic operational capability. The Wärtsilä LLC will enable the vessel to fulfill the highest possible Environmental Regularity Number (ERN) of 99.99.99. The ERN rating represents the capability of a vessel to maintain its position and normal operations under certain weather conditions. Wärtsilä is the first supplier capable of providing such a high ERN.